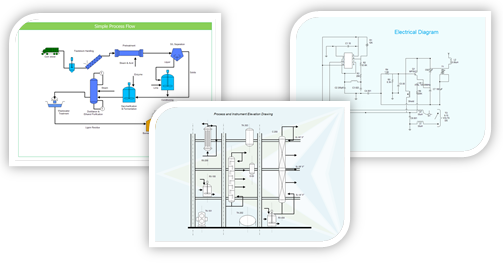 Professional Process diagram drawing software with lots of build in Process diagram examples. Easy to learn how to draw the Process diagrams. Process diagrams can be divided into three major categories: business process flowchart, process flow diagrams and process and instrumentation diagrams (P&IDs). A process flow diagram provides a quick snapshot of the operating unit. Flow diagrams include all primary equipment and flows. A technician can use this document to trace the primary flow of chemicals through the unit. Process and instrumentation diagram is more complex and includes a graphic representation of the equipment, piping, and instrumentation. Modern process control can be clearly inserted into the drawing to provide a process technician with a complete picture of electronic and instrument systems. Edraw Max supports all these process diagram drawing types. It is a professional Process diagram drawing software possessing lots of built-in Process diagram examples. 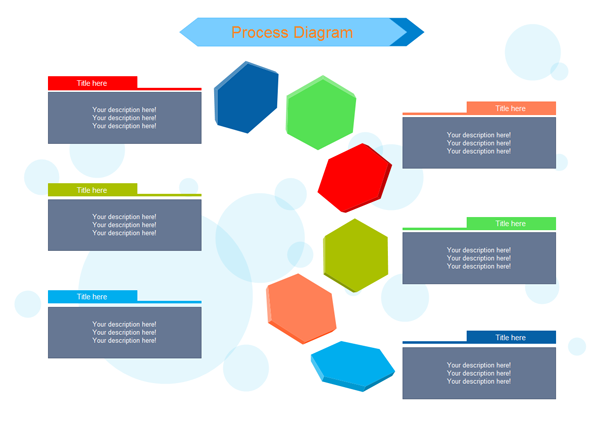 Learn how to draw the Process diagrams easily here. Click here to free download Process Diagram Software. 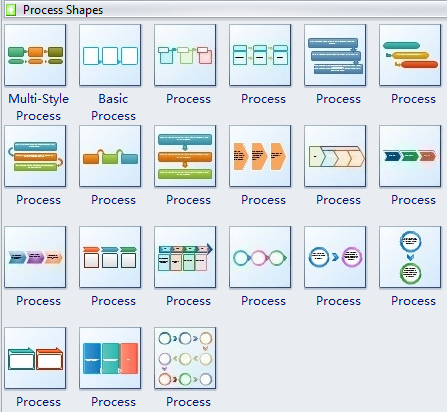 Then you can use the built-in Process diagram shapes to depict and present business process. Show information flow in accounting, management, and human resources tasks in company, industry or manufacturing. The following process diagram shapes include some drawing symbols for basic process diagram, multiple steps process diagram, list style process diagram and cycle style process diagram.